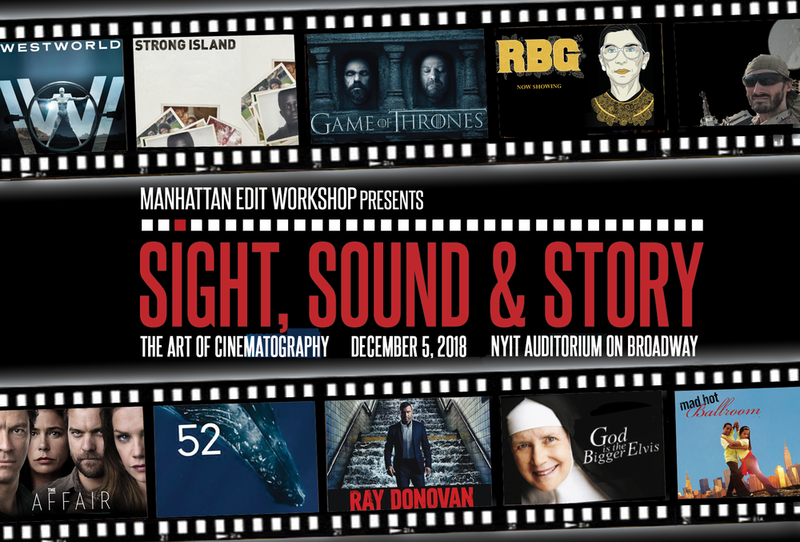 Produced by Manhattan Edit Workshop (MEWShop,) the “Sight, Sound & Story” is an ongoing high-profile speaker series that brings audiences behind the scenes with legends of all aspects of visual storytelling. Each event is hosted at the NYIT Auditorium on Broadway at 1871 Broadway, just footsteps from Columbus Circle and Lincoln Center. This coming December 5, 2018 - MEWShop's acclaimed speaker series returns for the third year with an evening devoted to the art of cinematography. Join us as we celebrate the craft of visual storytelling from the masters behind the camera - we’ll go behind the scenes with some of the industry's acclaimed cinematographers and then explore the process of shooting narrative feature films and series television.